Transcribed by Danette L.H. Øydegaard. 7 June 1851, Daily Union, p 2 col 5: Correspondence of the Union. - Sonora, June 2nd, 1851. Dr. Morse: I know that you will be glad to hear from me even at this date, so I am resolved to steal the time to drop you a few lines. We remained in Stockton one day, yet saw nothing of it, save what could be seen from the hotel, for Boreas was up on a visit from Frisco - his head quarters - and made himself so very disagreeable, that we would not venture to take a walk, for fear of an insult from him. The proprietor of our stage line, his lady, Capt. R. and his lady, Mrs. M. and myself, left San Francisco together, and I for one thought it fortunate to have been thrown into such good company as filled the stage on that day. Mr. Holden is a large property holder, both here and in Stockton; and one of the very first Americans who pitched a tent in Sonora. His interest and feelings are blended with the prosperity of this new city; and to accommodate the public, has placed a line of stages to run daily to and from, and like every thing else, meets opposition. But he meets the patronage his exertions merit, for his stages are always full, his horses are the best, and for ease and comfort, I never met the same, not even on a pleasure ride at home; and for the pleasure of that ride alone, I say success to Mr. Holden and his stages. I could but compare the ride from Stockton to Sonora, to the "Big Road of Life." Twas early, dewy morning, when we set out. Bright flowers clustered on either side - the birds sang, the trees waved, the sun shone and the breeze whispered joy. We entered a plain - flowers had given place to wild grain - the curious squirrel stood up on its hind legs and eyed us without dread - the hares scampered off - the crested quail gracefully increased its speed; and once we saw the coyote amble off with sulky looks. Green trees were seen at a distance, like Hope; and while we strained our eyes on the plain, longing to reach their shade, I cast mine on either side, and as the wheels whirled through their toil, I thought how like life, when we are looking into the future day, month, or year, hoping for something bright and glorious - overlooking the little gems of joy, of happiness, within our grasp like those little stray blossoms that peep out from weeds and grass. But on we went - reached sloping hills dotted over with glossy green trees, beneath each you would have thought some one had spread a carpet of delicate pink gauze, so beautiful and chaste were these flowers, which seemed to seek no other spot, but the shade of these protecting spirits; and as they sloped from our wheels up to the summit of these hills, it was a scene that almost made me scream with schoolday delight. We reached the Stanislaus. Here were the Indian agents, and many different tribes holding a treaty. We changed horses and dined, during which time, we were the "observed of all observers," for it was a rare sight to these Indians to see four pale squaws at once. There were over a thousand, I was told, all neatly clad. To see their tents, wigwams and huts, lining this bold little stream - to see them in groups of pastime or labor - to gaze from the opposite bank at the Indians, river, shrubs, flowers, rocks, hills, all rugged and green, was a sight romantic, grand and imposing in the extreme - I thought thus is life. As the road became less level, it became us as human beings to relieve the poor beasts by an occasional walk up steep hills; and as I pantingly stepped aside to cull the dear blossoms free to all - as I dragged my weary feet, for the moment puffing like a steamer, I looked around and beyond, at grandeur and beauty and said such is life. The whole route is full of interest. But from the Stanislaus to Sonora, some thirty miles, the scene is beautifully grand. We passed through Jamestown, Georgetown, and Shaw's flat, when I had the gratification of seeing here the miners murder poor earth, by tearing her very vitals out - how they turned the crystal waters to almost blood, and wound these rivulets around the hills like chords around a giant - then I said this is ambition. We were nearing our destination - the valleys were clothed in deep shade, decreasing in hue as they store up on the ravines, and met in phalanx on mountain tip in a flood of bright sunshine - the tall pines slightly nodned (sic) as if to welcome us - the birds were not silent - the distant hills told that the herd were winding towards home - flowers of every hue met our gaze - volumes of smoke curled up from the miner's home - we entered the street of Sonora, the Mountain City as she is called. Lying between a range of high hills, it is not to be expected her width is great, but I find the town larger, much more popular, and much more romantic than I expected. I have walked out to see the miners dig - saw some dirt washed and the gold come out form its prison-like true mint, from oppression. I am so struck with astonishment at all I see, that I think, at times, Alladin is here in truth - to see saloons, stores, goods, ice cream, bustle, (I mean hurry) action, industry and real live people by the scores, thronging the street - to see the thousands of deep holes and ravines dug on either side, like graves for the pestilence; and to reflect that so much toil has been expended, so great privations endured, for these little bright particles that start cities into existence like mushrooms, it seems so strange. We have even here as fine bath houses as you have and many other improvements; yet many luxuries are wanting. I miss the fish and vegetable market much. The miners in general are doing well, but the quartz veins in the vicinity are producing a great excitement. Among the distinguished visitors to these parts and in our city today, are Dr. Gwin, Mr. Marshall, Cousin Jack and others. The former were on a political tour - had quite a Democratic rally last night, but are off today. Sabbath is the popular day here. Bullfights, auction balls, races, etc., are the attraction - the miners come in from all quarters, and the streets are thronged. The Catholic clergy are here establishing the first church, the majority being of that persuasion. They will succeed in their designs. I witnessed on Sunday night a balloon ascension from the next door, which rose, paused, and sped on with more dignity than I ever had seen one. Do not think ladies are so plenty here as to be able to go out without being stared at as if they were "the elephant." American ladies are scarce here. 26 October 1852, Stockton Journal, p2 col 2: A Wary Travelers Description. Everything was covered by a sheet of ice, and the wheels of the stage slid from the side to side. During the first four miles we could scarcely go beyond a walk. It began to rain about 11 making it necessary to fasten down the curtains and then imprisoned in the dark stage coach, with air rendered impure by the breath of nine passengers, aided by cigar smoke and some dirty clothing, we were jostled around in a manner that would be regarded as quite sufficient by the most afflicted dyspeptic. Now on the right plunging into a mud hole, and now on the left, and each time receiving a shock that stunned us, we were truly glad at half past eight in the evening to see the lights of French Camp beaming dimly in the mist. 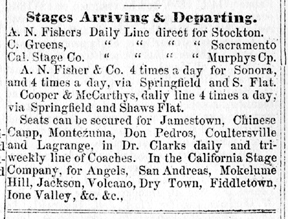 23 November 1852, Stockton Journal, p 2 col 4: Stage Travel. We understand that the stages between this place and Sonora yesterday changed their route on to the French Camp road, crossing the river hereafter at Knight's Ferry instead of Reynold's, going up on the east bank of the river. The route is over a hard sandy road from Castoria to the river, which continues so all winter, making the rauning (sic) very light, with the exception of about five miles between Stockton and French Camp. The Mariposa stages will probably take the same route, crossing the river lower down, however. 23 November 1852, Stockton Journal, p 2 col 4: Freights. The late rains have caused a material advance in freight to the mines and teamsters are contending for yet higher figures. A large amount of freight has been stored, to await cheaper rates, but if the roads continue muddy, and the weather continues inclement, there is no prospect of a decline. Thirty-two tons were taken yesterday at 5 cts. per pound to Jamestown, while 6 is the prevailing price to Columbia and Sonora, although some lots have been shipped at lower figures. To Mokelumne Hill, 4 cents, today, but more is asked, while 6 is offered to Murphy's Camp. Freight was taken to Angel's Camp at 4 and 5 cents. As we said before, if the present weather continues, there is every prospect of an advance in freights instead of a decline. Pack mules are in demand, as there are but two packers in town who are willing to put their animals on the route, and they are very independent about taking freight. There is a number of other trains in town, but the mules are in poor condition, and the owners refuse to let them go to the mines. Teams are tolerable plenty. 4 December 1852, San Joaquin Republican, p 2 col 3: Narrow Escape. The "opposition line" of stages to Sonora the day before yesterday came into rather abrupt contact with the flood at Wood's creek, whereby several persons lives were endangered. 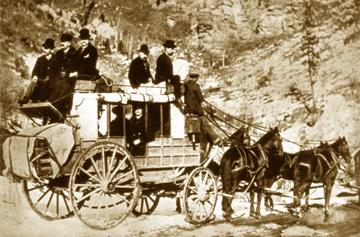 The driver missed the ford, and horses and carriage were immersed. The passengers were rescued from their perilous predicament by means of ropes. It is truly astonishing that travelers do not take the regular stage lines, which are driven by experienced drivers, during the prevalence of such weather as now prevails. 17 December 1852, Stockton Journal Steamer Edition (December 28, 1852), p1 col 3: Staging to Somora. There are three lines of stages running to Sonora from this city, at present, starting every evening at one o'clock, stopping over night at French Camp, and arriving in Sonora next day before dark. Reynold's, Kelty & Co., A. N. Fisher & Co., and A. McCloud are the proprietors of these three lines, on which the fare is $20, and the time creditable to Eastern stages. 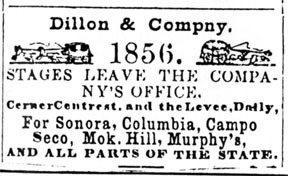 17 December 1852, Stockton Journal Steamer Edition (December 28, 1852), p1 col 3: The Rivers. We understand that all the rivers in the Southern mines are now swollen so as to set the ferries in active operation. The Stanislaus has risen about five feet, and at present the different ferries are busy crossing teams and travelers to the mines. 21 December 1852, Daily Alta California, p1 col 6 & 7: A Ride Over the Sonora Road. Day before yesterday I left Sonora wearing all the appearances of a New England winter. It had snowed considerably the day before, and it was really cold; as cold a morning as we have had for two years. Everything was covered with a sheet of ice, and the wheels of the stage slipped from one side of the frozen road to the other, making hard work for the stage driver, and a somewhat dangerous seat for the traveler. During the first four miles we could scarcely go beyond a walk, and it was after ten o'clock when we reached our breakfasting place - the Green Springs - only twelve miles from Sonora. The rest of the day was quite as uncomfortable, for, beginning to rain about eleven o'clock, it was necessary to fasten down the curtains; and then, imprisoned in a dark stage-coach, with air rendered impure by the breath of nine passengers, aided by cigar smoke and some dirty clothing, we were jostled in a manner that would be regarded as quite sufficient by the most afflicted dyspeptic. Now on the right plunging into a mud-hole, and now on the left, and each time receiving a shock that stunned us, we were truly glad about half past eight in the evening to see the lights of French Camp beaming dimly through the mist. Hungry, sore, stiff, cold and muddy, we entered the hotel, but for some time could do no more than effect an entrance. The bar-room, also occupied as a store, was full, with teamsters and travelers, I should judge not less than a hundred in number; and other parts of the house were likewise liberally stocked. At last we succeeded in working our way up to the counter, and bespoke supper, which was to us a dinner also. The beds were all engaged before our arrival, and at ten o'clock we proceeded to spread blankets on the floor, after the style of Californians in 1849. The floor of the sitting-room was absolutely covered with persons, not sleeping but enduring the night as best they could. The only agreeable circumstances that occurred during my stay at French Camp was an introduction to several intelligent ladies, with their children, who were just arrived from the Atlantic States, and were on the way to Sonora, there to meet husbands and fathers, from whom they have long been separated. In the morning, our first move was to stage for about a quarter of a mile to the landing, where we embarked on board a whale boat loaded down almost to the water. The wind came in squalls, and it was therefore difficult to manage the slough. A morning of endurance succeeded the night, and after many ineffectual attempts to make Stockton, we were obliged to disembark about a mile below, and break our way on foot through the almost impenetrable meshes of tule. It was noon before we reached Stockton, the City of Mud. At intervals through the day there were showers, forewarning of the night that was to come. And such a night! The wind blew a hurricane, and the rain descended as in times of old. The New York Hotel, where I was stopping, rocked like a cradle, and there was fear, even if there was no danger, of being left without a roof, if not without a bedroom. The same description was given of many other houses; and it is agreed by all that Stockton has not been visited by such a storm since 1849. Early this morning the large two story building formerly the dwelling house of Judge Dickerson, and now occupied by Senor Ainsa and family, was completely unroofed. All through the day the storm has continued with unabated fury, and although the Sophie is about to try to make her usual trip to San Francisco, it is thought that Suisan Bay will be quite as rough a surface as the most inveterate seaman would be willing to navigate with a Stockton steamboat. 31 December 1852, Stockton Journal, p 2 col 3: Staging. There are but two lines of stages now in successful operation between Stockton and the mines, of all our splendid array of coaches that were wont to start from the Levee every morning after the arrival of the boats. Kelty & Co. and A.N. Fisher & Cs., of the old lines, still maintain their ground, and run in defiance of the weather. Their usual starting hour is, from French Camp, every evening at one o'clock, making the trip usually in two days. The price is twenty-five dollars. The Stockton Journal of yesterday reached us last night, through Adams & Co., as early as eight o'clock. Mokelumne Hill. The stages to Mokelumne Hill will commence again today, after a suspension of several week. - Journal. Staging to Sonora. Mr. Burnell, of Todd's Express, informs us that the stages to Sonora commenced their trips again on Saturday, running from French Camp to the river by night, and into Sonora the next day. Much of the land on the northern bank of the Calaveras is still under water, and is likely to remain so until very late. The crop of hay will be set back this year, should the spring floods arise to the height that many people apprehend. Passage to Sonora. The price of passage to Sonora by the stage route is $25. The stages leave French Camp at one o'clock in the evening, stopping at the river at night. And arriving at Sonora next day about two in the evening. The average number is ten passengers. Killing on King's River. We learn from Mr. Goodburn that a man named Crosby was killed by an individual named Goodrich on King's river last week. Crosby was a desperate and fearful man, whose lawlessness was a terror to the neighborhood. 26 January 1853, p 2 col 6: The Stages. The roads have been greatly improved by the recent fine weather. The stages have again commenced running between French Camp and Sonora, making the trip in two days. Bodge's stages to Mokelumne Hill commenced running again on Tuesday morning. 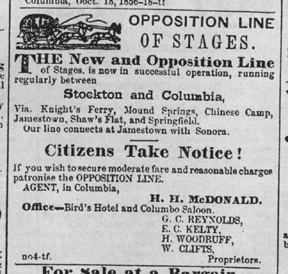 1 November 1853, San Joaquin Republican, p2 col 5: The Late Attack on a Stage. In Thursday morning's paper, we published the particulars of an attack which was made on one of Mr. Green's stages in Calaveras county. The Calaveras Chronicle says that the stage was stopped by a party of Mexicans, three in number, in the vicinity of Jackass Gulch on the Stanislaus river. The cause assigned for this is, that the head of Joaquin, which had been exhibited at San Andreas and recognized by several Mexicans, was on the coach, and which they swore to capture before it reached Columbia. The coach was stopped, and some inquiries put to the driver, but no violence was offered. On Sunday night last, however, as the stage was passing along the same place, it was fired upon by a party of Mexicans. It was very dark at the time and the driver had to trust to speed of his horses, as none of the passengers were armed. Several bullet holes were discovered in the coach and curtains, but no one was injured. The cause of this last attack was no doubt the same as prompted the first. A Trip to the Southern Mines in May, 1854, by A.H.B. - What! Going to the mines? Yes, going to the mines - though not in the fashion of '49, with blue baskets, shovel, pick and frying pan; but going for pleasure, as a New Yorker goes to Saratoga or Niagara; and going in style too, on board an elegant steamer, with a velvet carpet bag, and genteel traveling dress. Only think of it. Why, California must be getting quite civilized, and the people beginning to feel like other folks, when they can really dream of leaving money-making for a month, to take a pleasure jaunt. But so indeed it is, and shall be more and more, until every picturesque nook and romantic ravine shall have been explored, for other objects than for gold. People are just beginning to feel themselves at home here, and to look around for the means of enjoyment that are within their reach; and there is but little hazard in the prophecy, that, before many years, rusticating will be as much the fashion with San Franciscans, yes, quite as much the rage, as in any Atlantic Metropolis. But it was new to me, who for two years has been constantly surrounded by the sand-hill walls of our worthy city; yet I cannot say that pleasure alone was the real object in our case. A much more serious motive impelled us. My husband's health has suffered from long and close application and his physician recommended pure air, and entire relaxation from duties for a while. Still we were not sure that the latter could at this time be accomplished, and no school-girl was ever more delighted with the idea of an August vacation, than was I, when it was finally decided that we should leave for a while all cares of business and trials of housekeeping, "to go once more agipsying." The appointed day at length arrived, and, after the usual amount of bustle and preparation, we found ourselves on board the steamer, bound for Stockton. In a few minutes everything was ready; the hawsers were let loose, and four steamers gilded out into the bay, as if by magic, each bearing right gallantly on its upward course, splitting the waves, scattering the foam, and displaying its pretty pennant in the afternoon breeze. Of course, the first thing that engaged our attention, was the appearance of San Francisco; and it was with some pride, as well as pleasure, that I gazed upon the long line of substantial buildings, that marked its water-front, and saw its closely planted residences, and other edifices. I had learned to regard it with affectionate feelings; for there we had commenced the world, and, besides, (a far dearer reason) our home was there, round which were clinging many happy memories of days past, and bright hopes of days to come. The breeze, which had all the while been quite fresh, now increased so much, that we were glad to take shelter inside; and I was surprised to find the cabin and saloon so elegantly fitted up as they were. The supper, too, was a model one; and, as is usual in California, consisted of both substantials and delicacies. The only pity was, there were so few to partake of it. The Captain, a very polite and agreeable gentleman, did his best to make all comfortable; and gave us promise of a quick trip, which he certainly made good, as we reached Stockton at half-past twelve, just eight and a half hours from San Francisco. The first place we touched at was Benicia, a little before sunset; and though it had every advantage of a fine evening, it did not come up to my expectations. Martinez, however, on the other side of the water, is a Paradise, a Fairy-land, a spot of sunshine and shadow, hill and valley, grove and rivulet, where one could dream sweet dreams, and spend the evening of life in quiet, happy retirement. The tasteful mansion on a conspicuous eminence, the pretty cottage close nestled in the boson of the hill and half-hidden by the dark, green tree, the still more humble cot, or perchance, rude shanty, -- each lent to the scene its own peculiar charm, and formed a tableau vivant, rarely surpassed. By dark, we had got into smooth water; the wind has died away, and every thing was quiet, save the clank of the machinery. The half-full moon was floating serenely through a cloudless sky; and the water, rippling with a pleasant murmuring sound in its beams. Great tracts of marsh land lay on each side, and the occasional croak of a frog was the only thing that betokened life or inhabitants. It was rather a melancholy contemplation; and all around me seemed so desolate, that I could only compare it an unfinished world. There was light and darkness, land and water, but as yet unprepared for either man or beast. I soon grew weary of its monotony, and looked around happy to find something interesting on board; but nobody seemed cheerful, or inclined to conversation. Just below us, on the forward deck, was a confused heap of Chinamen and Chinese baggage, boxes, barrels, and many other et ceteras. Poor John lay quietly coiled up on his bags and bundles, the most inoffensive creature in the world, yet often complained of, (as he was often stumbled over,) as being "forever in the way." At last an old gentleman, who had been standing near us for some time, made some slight remark which began a conversation. Very soon he took a seat, and gave us a sketch of his journey to California, which had been across the plains. I was much interested, for the story was very well told, and in a style of language that would have done credit to a traveler of more pretensions. Plain, sensible, frank and polite, he was one of nature's noblemen; a very fair specimen of an American countryman. A stroke of the fairy's wand upon his slouched hat, seedy coat, and rusty shoes, and he was an earl, marquis, or anything you chose to make him. I would willingly have remained on deck, but a damp, chill air reminded me that it would be necessary to seek our room. I stood at the window a long time, watching the boat wind herself round the sharp turns of the now narrow river, and listening to the engineer's bell as it struck one, or two, either to stop or reverse the engine. The tangled reeds swept the bow of the boat, and as she ploughed through them, she appeared sometimes as though running on dry land. Soon we came to a dead stop, and there was a commotion on board. My first thought was of danger, and I asked, quickly, "What is the matter!" "Nothing, oh nothing!" was the answer, "only we are there." The sun rose gloriously the next morning from behind a mass of white, fleecy clouds. The grass and leaves fairly glittered in the sunlight; it was in truth a real May-day; but we were just one day too late for The Children's Festival. It was, however, still the town's talk; and wherever you went, at livery stable, baker's, grocer's, confectioner's, or dry goods store, nothing was to be heard of, but "The Festival, The Festival." All had contributed to the grand entertainment, and were still enjoying the satisfaction of it. My husband, who had been here four years ago remarked to me the great change that had taken place in the time. Then, the gaming table was the chief source of amusement. Each one was alone, and cared for little else than his own interest. But now, what a change! Happy homes, parents, children, everywhere, and the people all interested in, and leading on the gambols of the May-day throng. And so, long may it be; may we still listen with pleasure to the voice of childhood, speaking in tones of innocence and purity, and ever be subject to that kingdom which governs by the Laws of Love. The city itself, has a very cheerful and neat appearance, the main streets being wide, and the houses generally built with very good taste. Brick buildings are here and there interspersed, but are as yet by no means numerous. The scenery around Stockton, unlike that of San Francisco, is flat and unimposing. The city has one rather singular and pleasing characteristic, viz: several creeks, or, as they are called here, sloughs, running up into the land, and forming little peninsulas, which appear to very good advantage, especially when they are spanned by neat or ornamental bridges. On one of these little points of land is the dwelling of Mr. Weber, one of the oldest residents, who certainly deserves credit for the pains he has taken to beautify his grounds. A wild luxuriance of rose bushes, and other flowering shrubs, completely border the spot, and seem bending to bathe their branches in the water beneath, which reflects their beauteous blushes, receives their scattered petals, and bears across its bosom their grateful odors to the passing traveler. From all I can learn, Stockton is at present but a dull business place, and many are inclined to be discouraged at its seeming decline; still, judging both from its position as the grand Embarcadero for all the Southern Mines, and from the great agricultural resources of the surrounding country, it must ever hold an eminent place as a commercial, and in the end become a wealthy city. Those plains, alone, over which we traveled before reaching the hilly country, are in themselves cable of supporting an immense population, and of sustaining a city larger than Stockton. Enough has been done already to show what the place may, and will become. Wherever an attempt has been made to cultivate the soil, it has repaid abundantly, and where Nature is left entirely to herself she is lavish with beauty and adornment. The whole valley, as far as I saw it, was a thinly planted grove of oaks, while the profusion of flowers, springing at every step, was almost incredible. I had read a beautiful description of a California summer, where the broad plains are compared to a "painted sea of flowers," yet I made some allowance for poetic views, and was unprepared to find it so literally fulfilled. Often, as far as they eye can reach, across the plains, or along the slope of the hills, extends the wavy, variegated covering. Many of the flowers were strangers to me; but marigolds, lupines, and lark-spurs, seemed the most abundant, and these I greeted as old friends. After leaving Stockton we must have traveled over a country like this for nearly thirty miles, until we reached Knight's Ferry, on the Stanislaus. As we neared the river, the scene began to change; the ground becoming more broken and stony, and the whole country wearing a rougher aspect. We here exchanged our airy, velvet-cushioned coach for one more suitable to the roads, drove on to the ferry boat, or, as I should call it, floating-bridge, were pulled across the river, and proceded on our journey. The first I saw of mining was here. A few persons were digging along the banks of the river, though they did not seem to evince much animation. Here, too, were the first Indians we met, some of whom were also pretending to dig; but the greater part seemed more anxious for a sail, and crowded the sides of the boat, grinning and chattering with great apparent delight. Poor creatures, there seems no place for them in the present world, and they stand like dark shades of a departed age, gazing regretfully on a land once theirs, but over which they have now no control. Art and progression are nothing to them, they have no claims, no rights, nothing in common with those around them, save a mere existence, and even that too often subject to the mercy or caprice of their pale neighbors. The next place we stopped at was remarkably bleak and desolate looking. The soil was a red, stiff clay, very scantily clothes with herbage; but as soon as we had crossed that range of hills, we were again in the land of oaks and flowers. We next passed Montezuma and other small mining camps, and reached Jamestown, about five in the evening, having left Stockton at seven in the morning. Here were miners at work in good earnest; and we were just in time to see them wash out their slices and take up the proceeds of the day. I did not see the wash-pan much used, and I think it is now an article nearly obsolete, except for prospecting, or washing out at the end of the day. I could not learn exactly what was reckoned average wages, though five dollars a day seemed to be the lowest figure that was said "to pay." A party of four, who had worked from noon, shewed us their returns, valued at twenty dollars, and did not seem to think they had met with any extra good luck. The next morning we had a long tramp across the Table Mountain and sundry other hills, to find some friends and to see places with which I had become quite familiar through descriptions which I had read. We went through a gap in the Table Mountain, descending into a beautiful valley, in which there is already a fine rancho taken up. Wandering on then through dells and glades, we came to Tuttle Town, a settlement now of about a dozen houses, but which was once, I believe, quite a lively place. As we passed out of the village, I noticed the grave-yard, or rather the place of graves, for it was an open common. Two graves only were enclosed with a slight, wooden railing, the rest having no protection whatever. We stopped a moment to "give the passing tribute of a sigh," wondering whether we had ever known any who here had found a nameless grave. We afterwards learned that an infant daughter of the friend we were visiting, was buried there, and one of the little enclosures marked the spot of re repose. We found the disconsolate mother still grieving for the loss of her little one, and bewailing the hard fate, which had forced her to deposit its precious remains in so rude a neglected a spot; and yet, I thought, were the case mine, I would rather have the little grave there, within my reach, than at home among scores of departed friends. It is a solace to the living to shower tokens of affection round the graves of "loved ones gone;" but the dead hold no companionship, and the silent valley, or the lonely heath, is as welcome a resting - place, as the crowded sepulcher or church-yard at home. When we had gained the next height, we turned to take a view of the Table Mountain; and a remarkable feature in the scene, it certainly was. High, rocky and precipitous, - its sides jagged and broken, its top presenting an air line perfectly flat, with the exception of one or two breaks, scarce perceptible, one of which we had just passed through. From where we stood, we were also able to trace the course of numerous ravines, or gulches, many of which had proved nearly as rich with gold, as Sinbad's fabulous valley of diamonds. Though I look with great partiality upon Californians generally, there is one thing for which I bitterly blame the Pioneers, and that is, giving such horrid names to such picturesque places. One would naturally think, that the very sight of their loveliness would suggest some sweet sound to call them by, yet they are brought down to the base and common-pace appellations of Mormon Gulch, Jackass Gulch, Indian Gulch, Soldiers Gulch, Ground Hog Glory, etc. To me, it was dearer than classic ground, for it was interwoven (in my mind) with the fondest dreams of my youth. I had descriptions of it glowingly written with the pen of Hope and Love; and, here, too, was the scene of many dread fears, when I had fancied the dear one wandering, drearily, forlorn, perhaps suffering, or half-famished; for in those days, California was an untried land, and the very mention of its name was connected with ideas of privation and danger. But what a change has taken place! Now, where we went, everything was comfortable, and the family possessed of all those useful appendages to a country house, viz: cow, pigs, chickens, garden, etc. ; and I found that this was by no means an exception, but becoming very general throughout the mines. The next morning, we set off on horseback for Sonora, about six miles distant; but, owing to the soft state of the roads, did not enjoy the ride as we expected. Considerable rain had fallen during the night; the air was chilly, and we could see snow on the hills all around us. In crossing Shaw's Flat, my horse nearly sank, the mud was so deep, and I became too impatient to look for beauty or interest in anything. Sonora itself, though really very prettily situated, along a pleasant valley, seemed but one long, muddy, irregular street, a mere collection of shops and hotels. We got a good dinner, however, and, as it was too unpleasant to walk around much, soon retraced our steps. The next time I visited the place, it looked better. People were busy, yet I cannot say I saw as much work going on as at some other places. Columbia, for instance, shewed more extensive diggings, and, as a city, pleased me much better. The stores are not so good, perhaps, but the houses are better. There may not be such fine hotels, but I should judge there were many more quiet homes. One thing I noticed there, in the mining department, which I did not see anywhere else; it was the rapid manner in which some were washing the auriferous earth. They had a large box or receptacle, fixed, capable of containing several cart-loads of earth; leading from this, was a common sluice, set with a downward inclination, to accelerate the washing. The water, which was brought through a long sluice, fell from the height of about twelve feet into the box, and having such force, of course, separated the earth very rapidly. The earth was thrown in by cart-loads, and one man seemed enough to manage the whole apparatus. He stood with long boots and an implement very like a fork in his hand raking down the heap and throwing out the stones, giving the soft earth and water a free escape. By a slide in the sluice above him, he could also manage the stream, causing it to fall in any part of the box he pleased. In this way they much have washed an immense quantity of dirt in a day, though I did not find out how well it paid them. The stone around this place is all a kind of marble, and some pieces of it, which I saw broken, were really very fine and beautiful. What a pity that there could not be some more cheap and easy mode of conveyance, that these valuable resources of the State could be brought into use. When we re-crossed Shaw's Flat, I was in a better humor to notice it, and I should think it must have been, if it is not now, a very rich place, for it has been completely dug over, and there were as near as we could tell, about a hundred persons then at work. We came round by Tuttle Town, in order to get down to the Mormon Camp, which is in a very deep hollow, and was a place I was very anxious to see; but we either missed the trail, or it was so much cut up that we could not travel it. Besides being very steep, there were a great many water ditches crossing the road, some of which my horse could not be induced to jump; so after a world of trouble, we were obliged to give up the plan for the present, and made the best of our way towards our friend's house. I was still perplexed with ditches, and was heartily glad when we again got into the stage road. Every little valley has its few cabins and its miners, and the water companies, to accommodate them, have small streams branching off from the main ditches in almost every direction. The miners are also allowed much larger claims now than was common at first, which tends to scatter the population more, so that while many of the oldest mining camps, appear diminished, there may still be in the vicinity a much larger population. It has also a very good effect, inasmuch as it brings a more settled feeling and permanent state of things, when as I have said before, the miners gather about them those comforts which make home desirable. Sometimes when we came suddenly upon a party at work, they would look up with momentary astonishment, as though wondering where we had sprung from; yet I saw no signs of that curiosity or forwardness which I had heard of among the miners, where a lady visitor is unusual. On the contrary, they never spoke to us, or made the slightest inquiry, unless we addressed them, and they always answered with politeness, but with such diffidence that we felt ourselves almost intruding. One more attempt and I did get down to the Mormon Camp, though it was a desperate road. I found a pretty little flat, or rather basin, for it was completely shut in by steep hills, the tops of which are crowned with oaks, the sides covered with shrubs and flowering vines. The honeysuckle grows here in great profusion; but, as it was early in the season, it was not yet in bloom. I had expected to see rather a busy camp, and was surprised to find the place nearly deserted. The entire locality appeared to have been dug over, and then abandoned. It is said to be worked out, but I saw an experiment tried there which proved the contrary. I was very anxious to get a little gold from that particular spot to keep as a memento, and my husband to gratify me, offered to try and dig some. His friend joined him, they brought a sluice, and in five hours had washed out sixteen dollars worth. 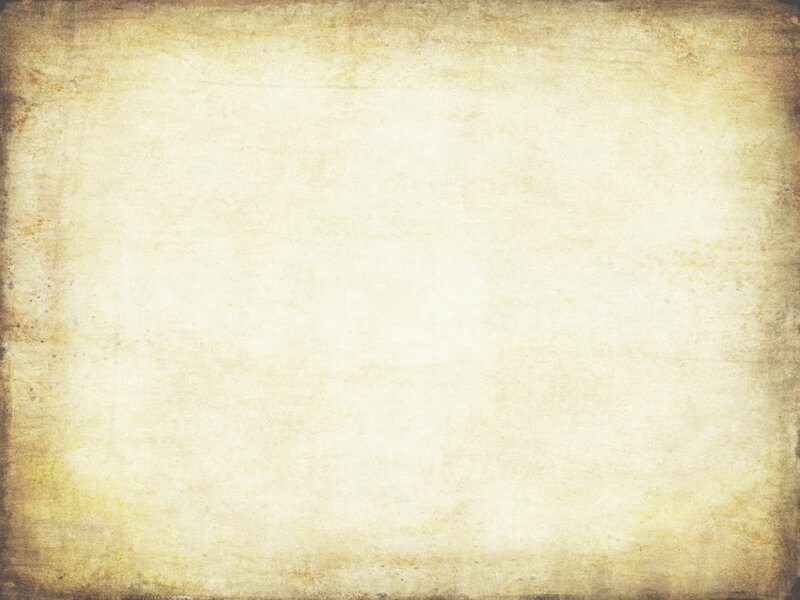 This, too, was from an old claim which has been abandoned; but in earlier times they did not work so carefully, and lost much of the fine dust. I thought when I heard of such fortunes as had been taken out here, which very often had been wasted in a little time, that the miners now there were better off and would probably grow rich upon the gleanings of the gold, where others had failed to secure a competency from the first harvest. The expense of living is now but a fraction of what it once was. They live more comfortable, feel more settled, and work more industriously. We had now ranged pretty well round that district, but there was one other place I wished to visit before turning our steps homeward, and that was where the great trees grow, high up in Calaveras County. We crossed at Mc Leans' Ferry, which I must notice in passing, for in point of scenery, it would vie with any spot to be met with on the route. The river was quite high, ran with great rapidity, and had many sudden turns, so that you see it but a very short distance at once. From here there is a very good view of Carson's Hill, which is considered as a very excellent place for quartz mining. At present there is not much doing, but it is expected that an English company will commence operations very extensively in the fall. We had already visited several quartz mines, some of which seemed very rich, but none of them were being worked at the time. There has been so much difficulty in obtaining proper machines, that individuals owning claims are rather inclined to sell out to large companies, than work them at their own risk. Soon after leaving McLean's we had to ascend a hill, situated to the right of Carson's, with a deep ravine between. It was not rough, but so steep and high that I grew dizzy when I looked down. A road is soon to be made, which will be much shorter than the one now used; but, at this time, it was only marked out, a narrow path, of little more than a foot wide, winding around the mountain. Once fairly started there was no turning back, and I sat in terror for nearly half an hour, lest the horse should stumble or take fright. But we got safely to the top, breathed easily once more, and were soon at French Camp, where we turned off the road to visit the natural bridges on Coyote Creek; we soon reached the nearest one. It does not make much show from the outside, the entrance of the arch being very low; but, as you advance, the ceiling becomes gradually higher, until in the center of the first chamber it measures about ten feet, lowering again down to a stone partition, which entirely shuts the opposite side from view, though the water finds its way, and bubbles up from the foot of the wall, as if gurgling with joy once again to meet the light. On the other side, where the water enters, the cavern is much higher, and has something the appearance of a Gothic doorway. It is evident that the bridge itself has been formed by a slide from the adjacent hill, and the arch, by the water wearing for itself a passage, wasting the soil and undermining the rock. The ceiling and sides are covered, as is usual in such places, with incrustations; but it is said that in the upper bridge they are much more transparent, and that the roof of the arch is much higher. We did not see but one, for the road was rough, it was getting late, and we had still a long ride before us. Vallecito was the next town we passed through. It is quite a busy little place, and the miners, it is said, are doing very well there. The town is in the middle of a plain, which is being worked on all sides. Soon after leaving this place we reached Murphy's, which is also on a plain, but at the very foot of the mountains. Here the scenery is exceedingly picturesque. High Hills rise at the back, which when I saw them, looked dark and frowning, though the plain was sunny and blooming. We rested an hour or two, took dinner, and then set out on our mountain journey. The afternoon was bright and pleasant, the road was good, and I was delighted. I have ever loved a wooded country and a wild scene, and was on the tip toe of expectation. I knew that we were constantly ascending, and that we would soon be on the heights of the Sierra Nevada. But I forgot the clouds we had seen in the distance, and could not think of cold while enjoying the sunshine of those pleasant hills. The oaks were in full leaf; there were dog-wood trees in blossom, the first I had seen in the country, and hazel bushes in abundance. The flowers, too, were different from those in the valleys, and I took great pleasure in trying to find old acquaintances. The mountain violet I did find, which I had looked for in vain everywhere else. The shrub also, here called the Yuba, I think I have certainly seen in the Eastern States, though it was never dignified with any such title. The school children called it "swamp huckleberry," and used to traverse the woods in search of its fruit. During the first five miles we passed several cottages, but they soon begin to grow scarcer, until, at last, we were in the midst of a deep forest, within no sight or sign of a habitation. The only things that bore the mark of man, was the road, which appeared to have been lately made, and an immense sluice of the Union Water Company, which runs near the road for a long distance, and is brought all the way from the Stanislaus River. We soon came to a saw-mill, where there was a quantity of fine timber lying, and logs ready to be sawn; but we could find no living being on the premises, and were obliged to go on without any further information of the road than we had obtained at Murphy's. We pushed on for about an hour, when we gained the top of an eminence from which we had a good view of the country surrounding. We had entirely lost sight of anything like cleared land. Forest, nothing but forest, extending from one high hill to another, as far as we could see. There was now little else than pines, or a kind of fat cedar. They grow exceedingly close together; and though each tree, taken by itself, is a giant, yet there are so many, and so uniform, that it is difficult to judge correctly of their real size. I found the air growing much colder, and though the sun was shining on some of the hills around, a floating cloud hid it from us, and threw a dark shadow down the mountain side. Before us were still higher mountains, whose appearance, though darkly sublime, was not at the moment to me particularly agreeable. Masses of black cloud hung over them, while a stream of grayish mist descending, concealed part of the mountain. In fact, there was a shower already, and we were likely to meet with it in the next valley, with little chance of shelter. We already heard the breeze which generally precedes a shower, but I felt awed and impressed, and had I been drenched, was not in a mood to complain. The pines waved their towering tops, as if in reverence. We were in Nature's grandest temple, and these mighty monarchs were the officiating ministers of Nature's god, to show forth his glory and proclaim his praise. We went slowly on, and began to descend the hill, wrapping ourselves up as warmly as we could. The misty cloud had now reached the valley, but, before we got down, its force was spent, and we received only a few drops, the cloud passing down between the hills. As we went further we found traces of a hard shower; the road was very soft, and every hollow was a little pool. It now began to grow late, was very cold, and still there were no signs of any dwelling. I really began to fear that we had taken a wrong road. At every new turn, and at every height, we expected to discry the house; but no, the same dark, dismal forest, that seemed to have no end. The distance from Murphy's is said to be fifteen miles, but I fancied we had already gone further. I do not know how much longer we should have had the courage to continue, had we not soon espied two gentlemen riding toward us. They were just returning from a visit to the tree, and told us we were within two miles of the place, where we would find good accommodations. This encouraged me; still I was very tired, and that two miles did appear dreadfully long. However, there is an end to everything, and at last we saw a column of smoke rising from the next valley; and soon after got a view of the house, by that time a pleasanter sight to me than the largest tree in the world. Oh, I was rejoiced to find a comfortable room, a crackling fire, pleasant, obliging people, and a good supper. I felt in no hurry to see the "big tree;" but on looking out of the window by chance I beheld the great stump close beside me. It could be none other. It was too large to be mistaken. It has been cut off perfectly straight, as though sawn asunder, and presents a flat surface of twenty-five and a half feet in width, without the bark, which has been stripped off for exhibition. We were shown the plan of a summer house, soon to be erected on the stump, which is intended for a ball room; and the trunk itself is to be leveled down, or hollowed out, for a bowling alley. Mighty old tree! How art thou fallen! Not only hast thou been despoiled and demolished to gratify the curiosity of a gaping crowd, but thy ephemeral destroyers must still run riot o'er thy resting-place, and breathe their songs of wild delight around thy grave! The next morning we intended to have a long ramble, and to see for ourselves, whether the wonders were as great as had been represented. What was our surprise, then on looking out, to find the ground thickly covered with snow. In fact, it was still snowing fast. At first thought, it seemed a remarkable phenomenon; for it was the middle of May, and where we had been yesterday, it was summer. Yet I soon remarked that the Spring here was but little advanced, and when I remembered how high we were, it was not singular. It is, I believe, situated in 38 degrees north, which latitude, when not much elevated, gives a very genial temperature; but the point where we then were, at least, the hills directly around us, where the Stanislaus and Calaveras take their rise, are said to be 5,000 feet above the level of the sea. We waited in great hopes that the day would clear up, but all in vain. I sat for a long time admiring the trees whose boughs were weighed down with snow, and watching the steam rise from the ground, where the night before they had been burning brush, which had caused the column of smoke that had gladdened our eyes. At last I determined for a walk, snow or no snow. So putting on India-rubbers and taking an umbrella we sallied forth, -- one of the gentlemen residing on the place kindly conducting us. The wood commences directly as you leave the house. We crossed a clear, purling brook, (for there is no gold-washing to make it muddy,) and soon found ourselves surrounded by trees larger than I had ever imagined; comrades of the one which has become so noted. I am not sure that the noted one was the largest specimen, though it was probably the most perfect one; many of them being so disfigured by burning, as to spoil their symmetry. Others are almost entirely destroyed; nothing being left standing, but the tall, hollow trunk, like a black, gaunt-looking skeleton. There is one of these great trunks now lying prostrate, which is about four hundred feet long, and whose center has been entirely hollowed out by fire. The cavity is so large, that in walking through it, you cannot touch the upper side. And the gentleman assured us that he had seen a man on horseback ride through it without difficulty. Before I had actually seen the trees, I confess, I had been rather skeptical concerning them. But now I had nothing to say, I could only believe and admire. My husband took the measure of one before my eyes; and I still keep the ball of twine which he stretched around it. It measures just seventy-one feet seven inches. The bark of the tree is very singular, it is quite soft and fibrous, and exceedingly thick; I should judge it to be, in some places, nearly a foot and a half. The tree appears to be of a species between pine and cedar, growing in the form and bearing cones like the one, while its foliage is rather that of the other. I understand that some botanists have declared it a new species, and have already given it the name of "Wellingtonia Gigantea;" adding, that, "so high as it stands among the surrounding foresters, he stood above his contemporaries." Now I have no objections to honoring this noble warrior, but would merely suggest, that as this "Gigantea" is an American, it would be more appropriate to name it after our own great hero, Washingtonia Gigantea, who, like the other, was distinguished among his fellows, and won for himself a wreath more enduring than the boughs of that evergreen tree. I came back to the house pleased and gratified. Nothing had satisfied me so well as the contemplation of those grand, old trees, as they stood, linking the past with the present, the still living monuments of ages long gone. Yet I could not help thinking, though incomparable in strength, and almost immortal in their own natures, how completely they were at the service and disposal of man. How truly at his creation was he made the lord of the material world, and given dominion over everything on the face of the earth. In the natural world his tiny arm is an almighty one. His mind determines, and all matter yields to him, and to God, alone, he bows as his superior! We had now followed out the plan we had traced for ourselves, had seen all, and more than we expected, and we were again ready for home. For two weeks I had been wandering around very contentedly, but now, when I began to think of returning, I could hardly give myself time to get back. We left the mountains the same day, though it continued snowing, reached Murphy's before sunset, where we again found milder skies, and took the stage early the next morning for Stockton. The early morning ride was novel and delightful. The waning moon, the morning star, the first faint beams of day and the still and balmy air, all impressed me; but the full blaze of sunlight, the waking up of the dreamy world, and, more particularly, the crowding up of the stage-coach, dissolved all poetic illusions, and left only an anxious mind, a severe headache, and a strong desire to get forward. We came through Vallecito by moonlight, reached Angel's Camp at daybreak, somewhere in the vicinity of Calaveras at breakfast-time, San Andreas at nine o'clock, crossed and re-crossed the Calaveras, I know not how often, rode along its fertile banks for several miles, --studded with some charming ranchos. The largest fields of grain I ever saw, were here, --if fields they could be called. In one place we rode past a piece of ground, which could not have been less than a mile in length, covered with barley, all eared out and without a fence or any division, except the outside one. At length we left the river, crossed the flowery plains, and were once more in Stockton. We found the boat at the wharf and were soon on board. But we also found that we might prepare for a long passage, as she was not the fine boat that brought us up. However, we could but resign ourselves, and, being much fatigued, I soon retired, and in dreamy slumbers became unconscious of time. Daylight found us once more approaching San Francisco, and we touched the shore with bounding hearts. On Tuesday night, a stage containing fifteen persons, who were returning from a party at the Miners' Cottage, upset near Lytle's. Fortunately none of the passengers were injured. The accident was caused by the bad state of the roads at this point, rendering travel at night extremely perilous. It is sincerely to be hoped that the day in not far distant when the roads in this county will be put in a safe condition. 26 June 1858, Tuolumne Courier, p 2 col 1: Accommodation Line. We learned that Messrs. J. M. Parker & Co., of this city, will put on an "accommodation line" of coaches to Stockton, to commence running on Monday next, in consequence of the increased travel occasioned by the Frazer river in Sanity. 3 July 1858, Tuolumne Courier, p 2 col 5: Frazer River Line!! 31 July 1858, Tuolumne Courier, p 2 col 2: "no title given"
R.C. Payne has commenced running a stage from Columbia to Jacksonville, passing through Sonora, Jamestown, and Algerine Camp, leaving Columbia Mondays, Wednesdays and Fridays. He will also run from this city to Jacksonville and back every Sunday, giving those who may wish, an opportunity to visit the beautiful garden of Capt. Smart at that place. 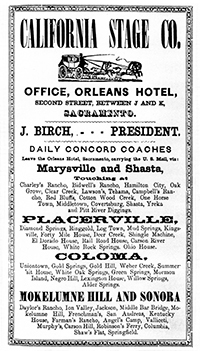 Freeman & Co. advertise that, on and after March 1st, they will run an Express from Columbia, Shaws Flat, Sonora, Jamestown and Chinese Camp, to Stockton and San Francisco. 25 June 1859, Tuolumne Courier, p 2 col 4: Carpet Bag Lost! Lost from the Stockton Stage, while passing though Columbia, on Tuesday evening, June 16th, a black patent Leather carpet-bag, containing a lot of boy's clothing, a Daguerrotype, Ec. The finder will be suitably rewarded on leaving it at the "Courier" Office, or at the Stage Office, Douglass' Saloon. Columbia, June 25, 1859. 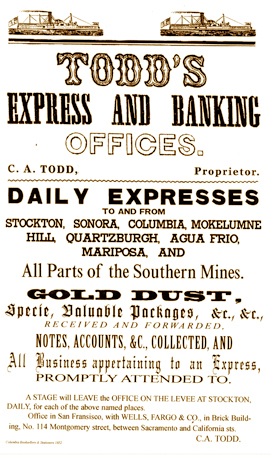 5 November 1859, Tuolumne Courier, p 2 col 1: Freeman & Co.
We regret that this enterprising firm of Expressmen have been compelled to suspend their express business in the interior of this state, though they will continue it from San Francisco to the East. The reason assigned for this is that there is not sufficient business for two companies of the kind, and they have therefore left the field to Wells, Fargo & Co. Their receipts have not equaled their expenses since March, the date of the commencement of the enterprise. The company are prepared to settle all demands against it, and redeem all of their franks. The agency here has been managed in a manner which has given universal satisfaction to our citizens generally. 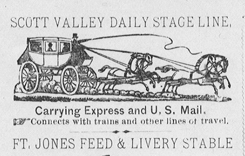 5 November 1859, Tuolumne Courier, p 2 col 5: Old Line of Stages. Calvin & Bates, proprietors of this favorite and old established line of Stages, gratefully acknowledge their obligations to the public for the liberal patronage and support received, respectfully solicit a continuance. Their arrangements for the season are now complete, and they guarantee to all who favor them with their patronage, good, careful drivers, comfortable coaches and swift travel. On Thursday week, as the opposition stage was going to Big Oak Flat, it was upset, and a man calling himself John Gry of San Francisco, had his hip dislocated, and the OS pelvis fractured; beside his breast and head were considerably injured, and it is feared that the bladder may be ruptured, which would be fatal. He was very reluctant to give any information as to himself, but gave his name as above, and gave as references, Sidney A. Fisher and William Heffley, both of San Francisco. He was respectfully dressed in a black coat and vest and dark pants. Since the above was in type, we learn that the gentleman had died, at a house about a mile from Jacksonville, near where the accident occurred. 13 July 1867, Columbia Citizen, p 3 col 1: Stage Accident. A serious accident happened to the Stockton Stage on Tuesday last, near the old Rock River House. The driver, Charles Morse, in attempting to apply the break, made a miss, and fell over the foot-board. The heavy Coach passed over the driver, leaving him badly hurt and perfectly helpless. The horses took fright and ran about three quarters of a mile when the Coach was turned over. There were four ladies and several gentlemen in the Stage, most of whom were considerably injured, and all terribly frightened. Two ladies, who came through to Columbia, represent the scene to have been terrific, beyond description. One of them was severely hurt having received several bruises about the head and neck. The other lady complains of a bad sprain which will oblige her to carry one arm in a sling for several days, and postpone a contemplated visit to the Big Trees. Mr. Luzaec, of this city, fared worse than any other passenger, receiving several wounds and bruises of a very painful and serious nature, but not necessarily fatal. He is still confined to his bed at Chinese Camp. The rest of the passengers escaped with very little injury. We learn that Mr. Dooly, the proprietor of the line has given directions to his Agents to provide everything necessary for the comfort of the unfortunate sufferers by this accident.